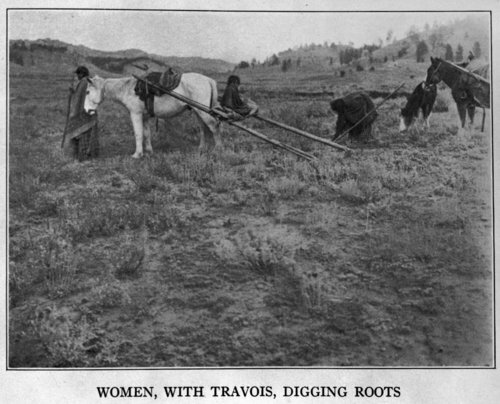 This is a photograph of two Cheyenne women utilizing a travois and digging for roots in the ground. There is also a child visible sitting on the travois. There are also two additional horses to the right of the frame. The photograph was taken from Grimmel's The Cheyenne Indian. Funds for digitization provided by Mr. Steve Peckel in memory of William Chalfant.